Today we’d like to introduce you to Twyla Gettert. My earliest recollections and some of the most imprinted memories of painting go back to when I was around six years old. My mother, an amateur painter, would sit down with me and a tray of watercolor paints with an opening question “What shall we paint today?”. Our focus would usually be on landscapes around our Iowa home — the trees and garden in our yard. On rainy days, it would be some sort of still-life; although, I really didn’t know what “still-life” meant at the time. Those experiences gave me the basic tools and vision for shape and color. She had only the primary colors in her paint set, so I learned to mix secondary colors at an early age. I was given these gifts by my mother — I became an artist and a colorist and developed an eye to really look and observe things. Though I painted at times on my own through high school, it wasn’t until I was in college that my inner-artist truly emerged. My major and degree, at the University of Iowa, was a BA in Urban Planning /Sociology, but I took courses in art & figurative drawing. It was then that my passion came alive. The training, support and encouraging reinforcement of my art instructors instilled my confidence, but more importantly some fundamental training. After college and then working a full-time job, I continued my quest for fine tuning, expanding and diversifying my comfort zones of painting. I began attending workshops and artist retreats conducted by various successful art instructors. These retreats took me to varied locations across America as well as Mexico and South America. Up until this time, I had focused almost exclusively on “realism”, whether it was portrait, figurative, still-life, or landscape. The exposure to various artists opened the inner doors of my vision into areas outside of what is the physical image in front of me, expanding into the energy, aura, and even the metaphysical feel of the subject. By age of 28 I felt that I had a story to share with galleries and art lovers who would enjoy the pleasure and energy of my work. A professional artist was now on the rocky path through the community, not just any community, the World of the Art Community. 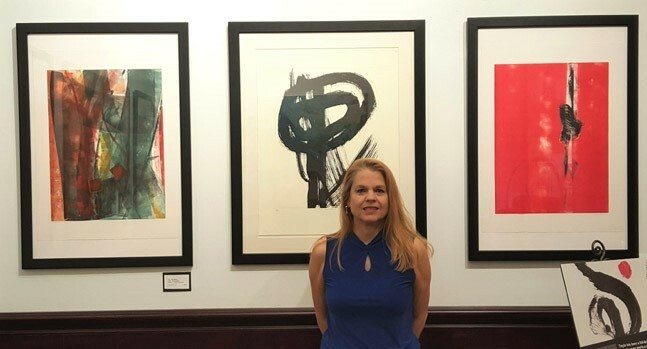 I first started selling my work, living here in South Florida and my first chance was given to me by Las Olas Fine Art Gallery in Fort Lauderdale. 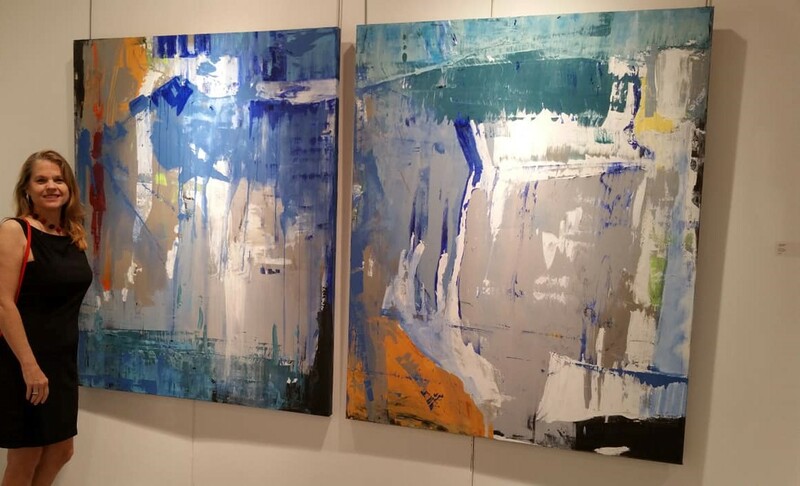 I began presenting my work to corporate business office developers, interior designers, and some galleries. It was difficult having to live from one painting sale to the next. If not for some timely project contracts, I may not have made it. A few of those sales not only gave some financial cushion, but, more importantly, gave me the self-confidence and drive to keep moving forward. I moved to Chicago and it proved to be my muse for creativity, inspiring a new era and style to my work. 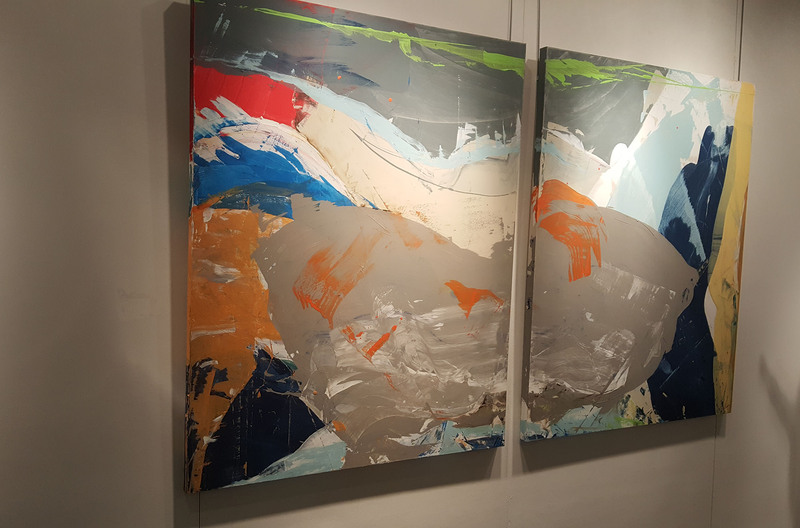 It brought social commentary and an urban grittiness to my work, which brought me some critical acclaim, and helped elevate my work to a new vision and exploration of ideas. 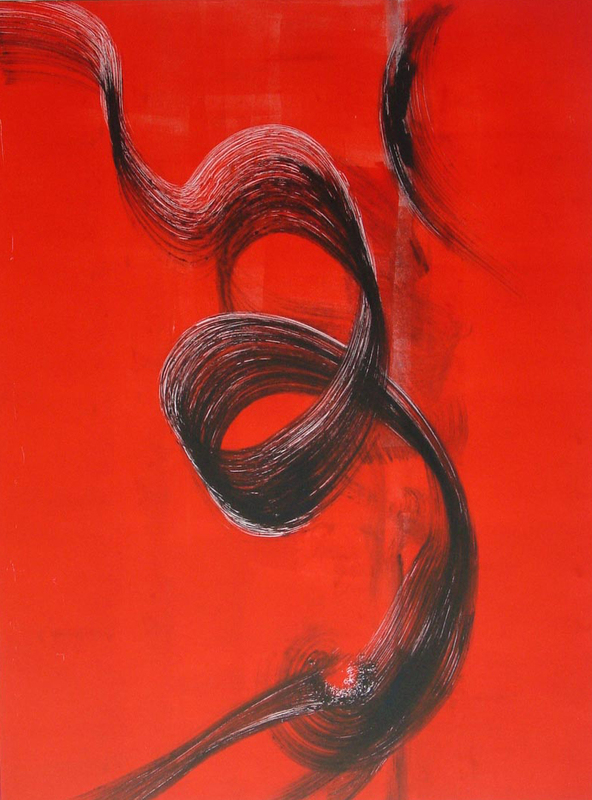 Following my years in Chicago, I moved to Madison, WI where I studied under a nationally known Taiwanese artist, Yueh Mei Cheng, a Chinese Brush Painting, Sumi brush, and Chinese calligraphy professor. 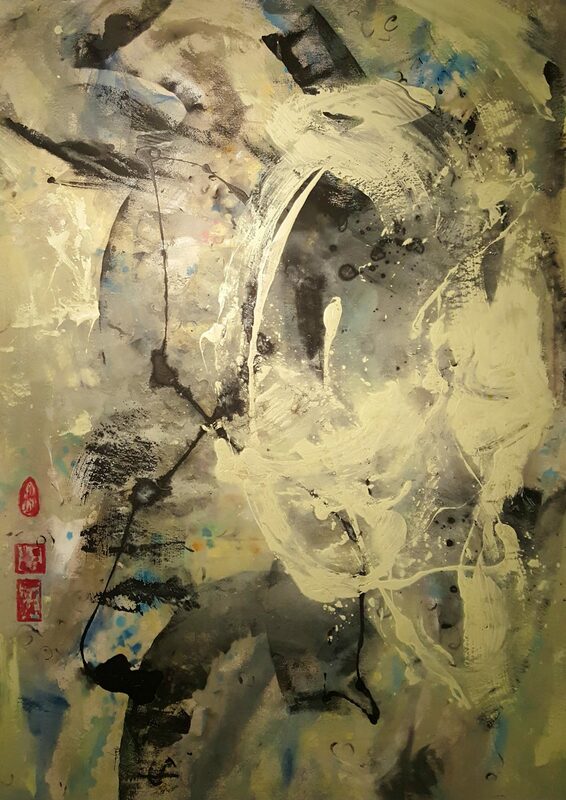 Like all great teachers, Yueh Mei, guided my hand, as an abstract artist, and assisted me with incorporating Chinese Brushstroke & Chinese calligraphy into my world of abstract. This not only brought back the discipline of realism and refined my brush stroke, but, furthered a realization of the spontaneous ‘chi’ in my mark making. Drawing on my love of creating monotypes on an etching press I went from rice paper to rice paper used on the etching press. As a result of this study, I was accepted in two international shows at the National Museum of Art; Osaka, Japan. While still in Madison, my hunger for new mediums continued. 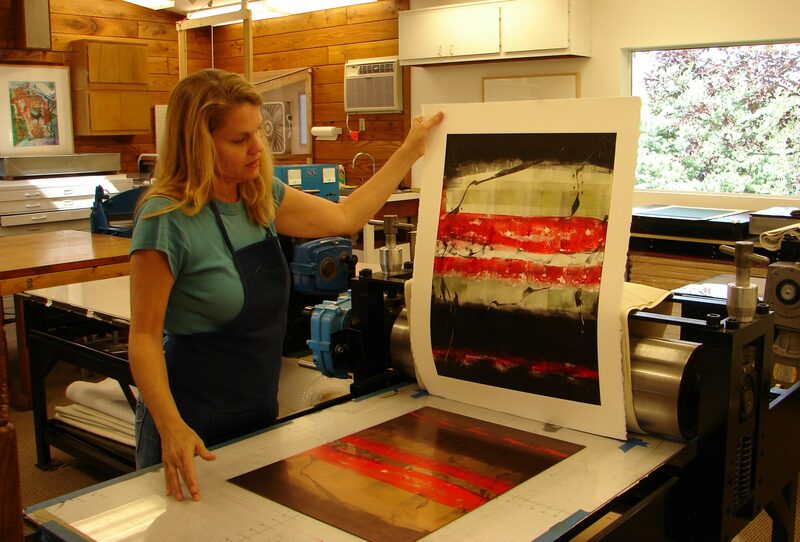 I was invited to study and create work in another fascinating, medium – the world of printmaking. After seeing an article on my work in the newspaper, Andy Balkin, of Balkin Master Printmaking and Fine Art Editions, asked me to join his small group of member artists to use his facility and attend classes. Many renowned artists including Bruce Nauman, Ed Paschke, William Wiley, Jim Nutt, were having editions printed at this master print studio and I had the chance to meet and converse with them. Up to that point, this was my closest experience to feeling that I was a part of a true “art community”. There is a very experienced and highly regarded printmaking tradition at the University of Wisconsin. I was honored to be commissioned to complete work for the University of Wisconsin Medical facilities (32 artworks) and also Johnson and Johnson, Johnson Bank, Park Bank, Home Savings Bank, and other corporations. Wisconsin was an important and very memorable period of my life as an artist. My husband I then moved to the rural town of Geyserville, CA, in northern Sonoma County. We settled into an 1891 “charter” farm house, out in the country on the Russian River. It was there, that a new phase of my career began. Living so close to the rocky cliffs of the Pacific Ocean, in a timeless cottage surrounded by vineyards, redwood forests, and mountains, the forces of incredible natural beauty could not help but influence my eye for the abstract. In many ways, though, some of the beauty around me needed nothing more than to be captured in a photo. There are pieces of nature that cannot be improved or changed, only shared. 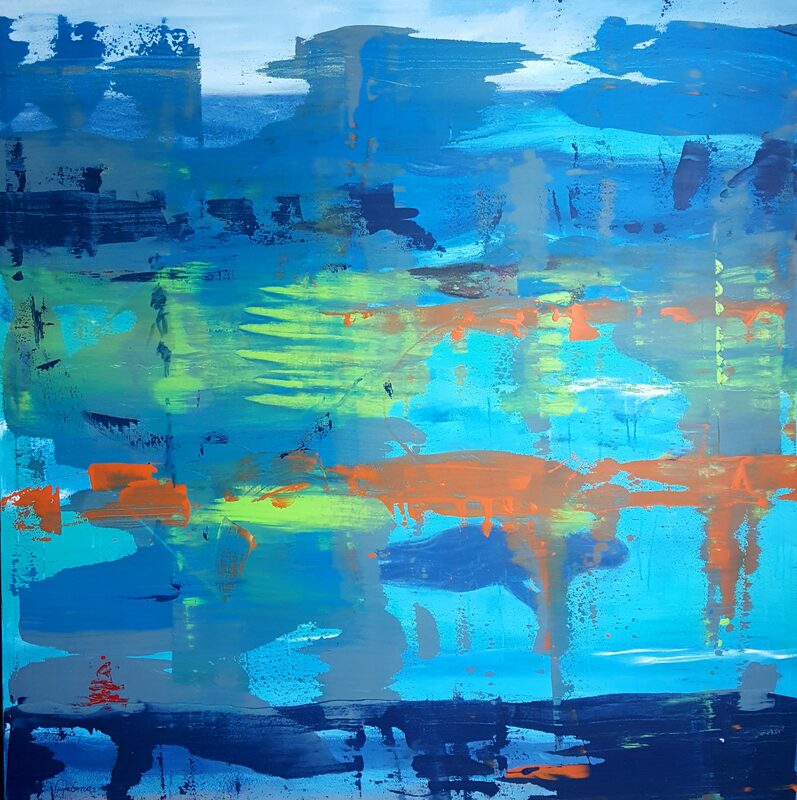 It is this realization as an artist that inspired me to share, not only my paint on canvas, but also photos of shape, color, and contexts that pass through our lives, and need to be enjoyed again and again. At that time, I also began exploring a new medium – manipulated digital Radiography (x-ray) in a compelling relationship intersecting Art with Science. In 2012, the warm tropical climate, landscape, and beautiful ocean brought my husband and I back to where we met and where my career began. As wonderful as our experiences were living away, South Florida is home for us. 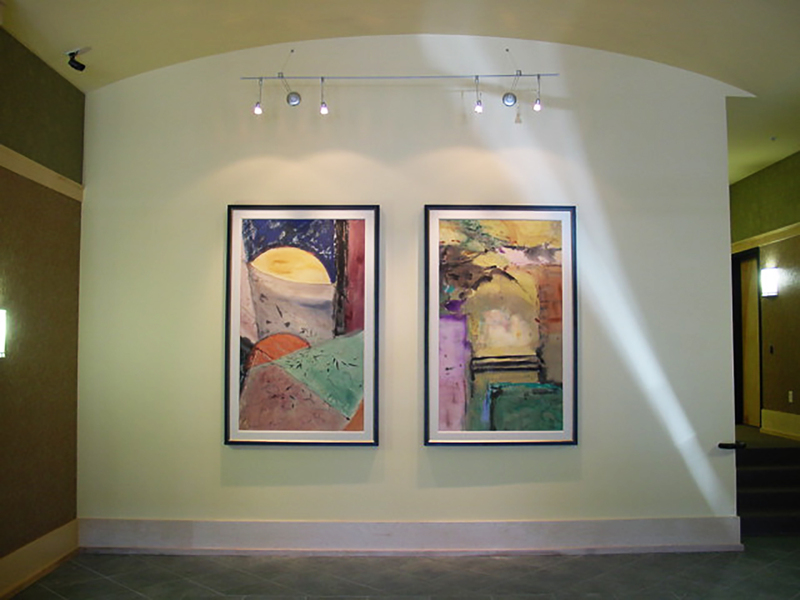 Through my career, I have had the fine honor to place my art in over 85 private and corporate collections. My art has been shown in museum exhibitions and also in a network of galleries throughout the U.S. I also work with the design, commercial, and hospitality industry with large scale commissioned and licensed works. My art is both planned and intuitively created. I combine both the analytical and direct creative flow – often switching back and forth. Each medium dictates the process. I love to experiment with spontaneous brush stroke, line and color and I am inspired by the Abstract Expressionist artists and Sumi-E Masters. I feel that my life experiences and my expansion as an artist are woven through me like DNA. It is who I am. It’s always my intent that what I put on canvas and paper tells a story or evokes a feeling that touches everyone’s being, bringing a higher level of peace, inspiration, and joy into their lives. By sharing my personal vision and emotion in painting, I hope to draw viewers closer to their own inner worlds. Supporting yourself as an artist is probably the biggest challenge, always, unless you have moved into the luxury of consistent sales. The internet has both helped and challenged this issue. It has made it easier to get the word and visuals out on your art, but also has created intense competition. The sheer amount of images and choices abound because of the cyberworld and also the availability of art as a reproduction. The public has a huge amount of choices and it is very challenging to get the exposure and also your work in front of the audience that fits with your art. Personally, marketing and being tied to a computer can be a distraction in finding the time to keep creating my art and staying in a creative mode. I am always open to speaking to people seeking artwork and commissioned works for their own collections or corporate collections. 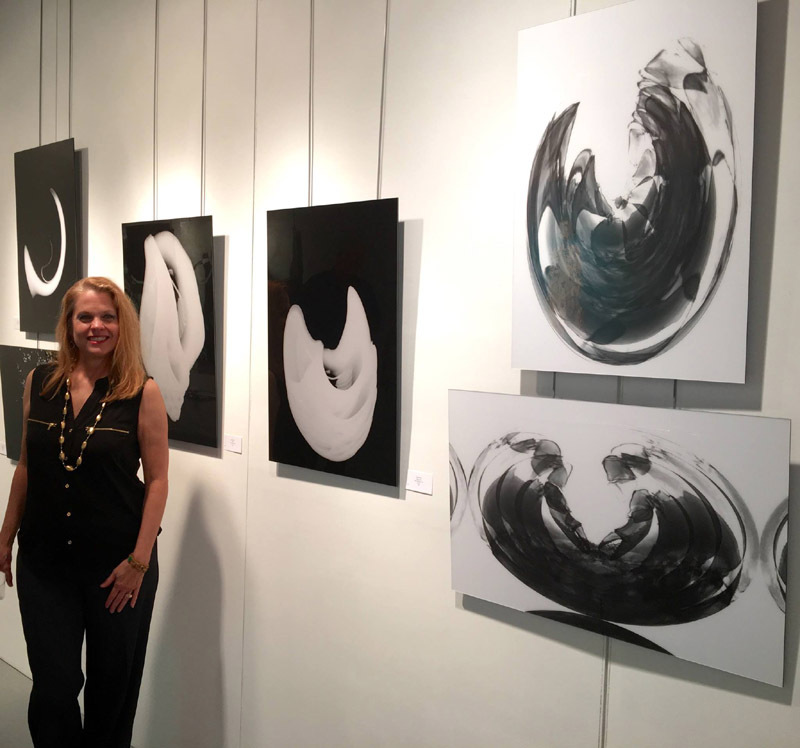 My art is also represented by MAC Fine Art Galleries- in Fort Lauderdale and Jupiter, Florida. I am involved in creating Public Art – it serves the interest of the wider community in many ways. 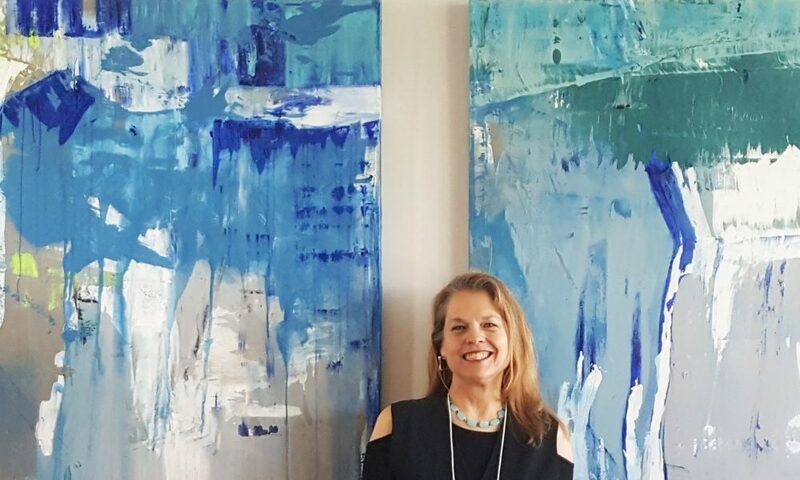 Thanks, Voyage MIA, for the feature of my art and interview. It is wonderful to be included in this magazine along with these amazing artists. Fantastic! We love Twyla. She’s a top artist and wonderful creative soul all the way around. Great article.